The site of a Post Medieval inscribed stone on Blacklow Hill. 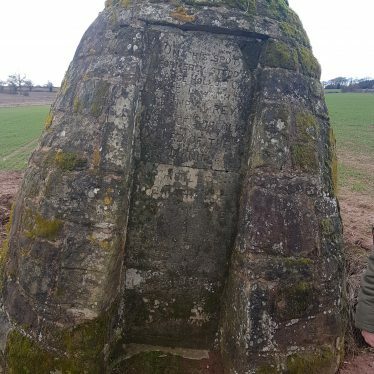 The stone has, among other letters, the inscription, "1311 P GAVESTON EARL OF CORNWALL BEHEADED HERE" The stone is on the site of Gaveston's Cross. 2 This inscription was located on the rock face of a former quarry-hollow 5m S of the SW corner of the cross (PRN 2538). It is in deeply-cut letters, now partly illegible. An arrangement of pits, post holes and two burials were discovered during excavations on Blacklow Hill. The site may represent an Anglo Saxon religious site dating to the Migration period. Findspot - Mesolithic flint artefacts were found under what is now the northern most roundabout of the Warwick bypass. The finds may indicate an occupation or working site. The site of a possible brickworks dating to the Imperial period. An eighteenth century tithe map marks a brick kiln close at a location to the east of Wedgnock Rifle Range. The Church of St Thomas a Becket which was built during the Imperial period. Everything but the tower was demolished in 1913. The tower has now been converted into a dwelling. 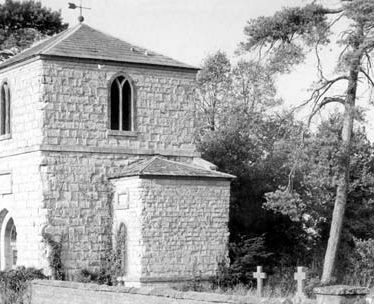 The church was located on the north west edge of Ettington, on Banbury Road. 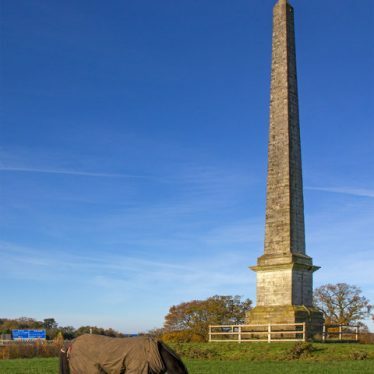 Obelisk in pale grey granite erected in 1875 in recognition of Edward Willes' gift of Newbold Gardens (later renamed Jephson Gardens), Leamington Spa in 1846. Situated north of the Lake. 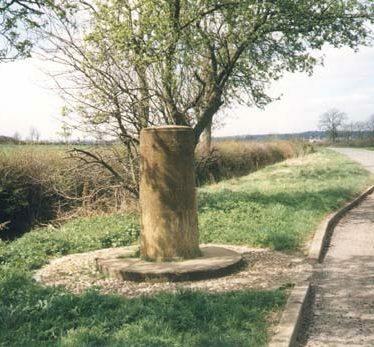 A commemorative monument, a memorial pillar to the Battle of Edge Hill erected in 1949. 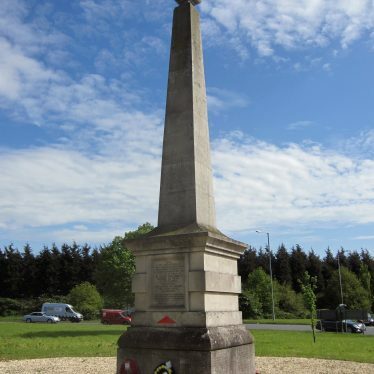 It is situated north of Clumber Park Road.